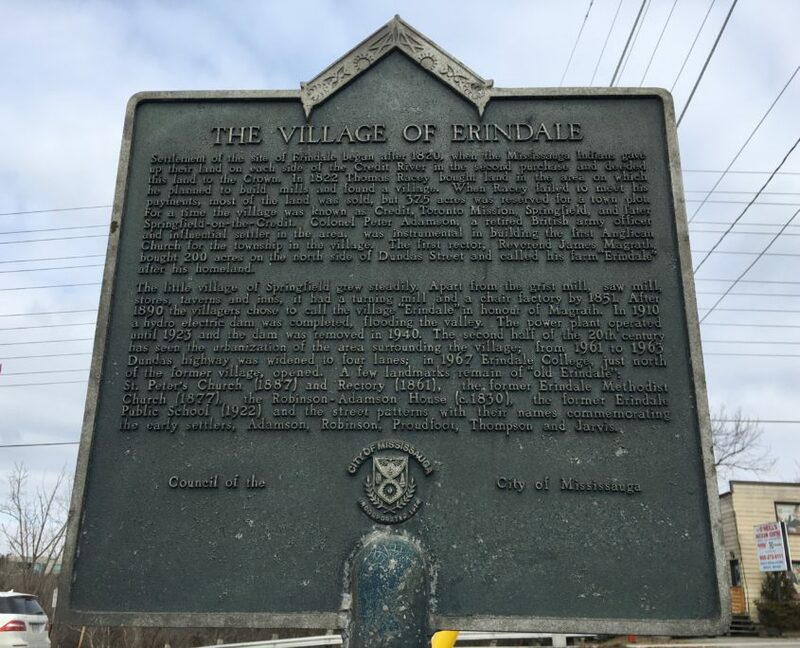 Founded in the early 1800’s, the small hamlet of Erindale was known as the stopping place for stage coaches travelling between Toronto and Hamilton. Nestled along the east side of the Credit river near Dundas, Erindale Village is an exclusive area with prestigious homes. 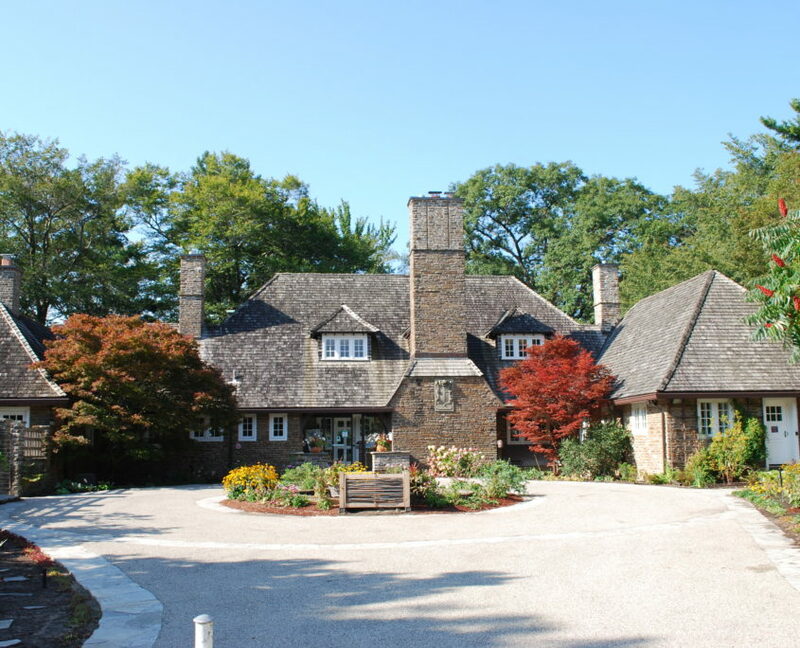 Many of the estate homes were summer homes for wealthy Torontonians. 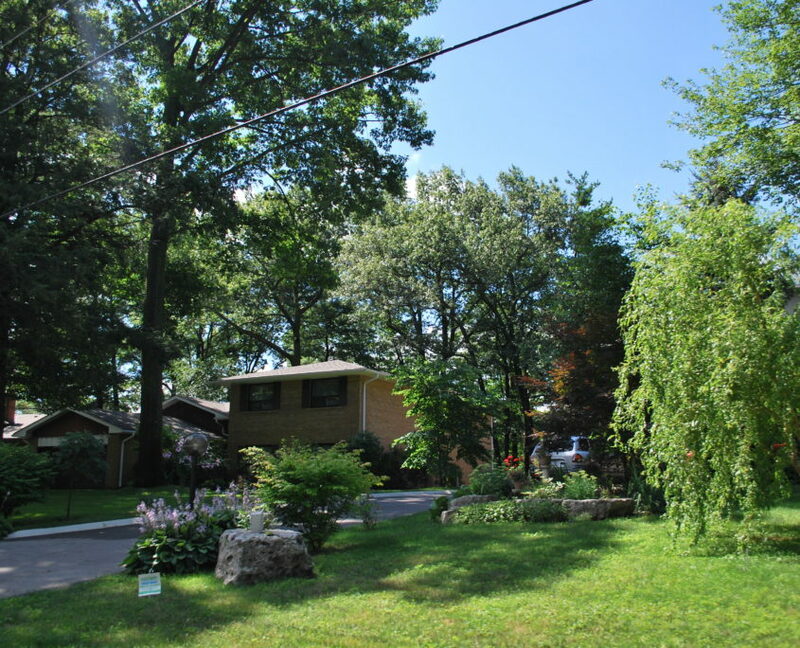 The MLS district of Erindale also covers the neighbourhoods of Credit Woodlands (north of Dundas) and Huron Park (south of Dundas & west of Mavis Rd). We have also included the small stretch of land between Burnhampthore and the 403, designated as Creditview on MLS realtor maps, but from a lifestyle perspective, enjoys all the same amenities of Erindale. 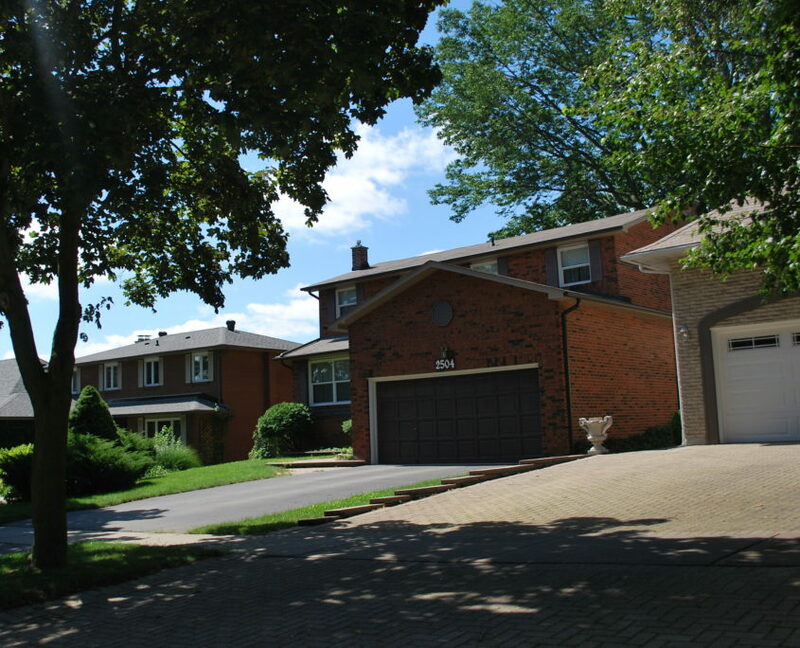 Erindale is a great location for a family to live. 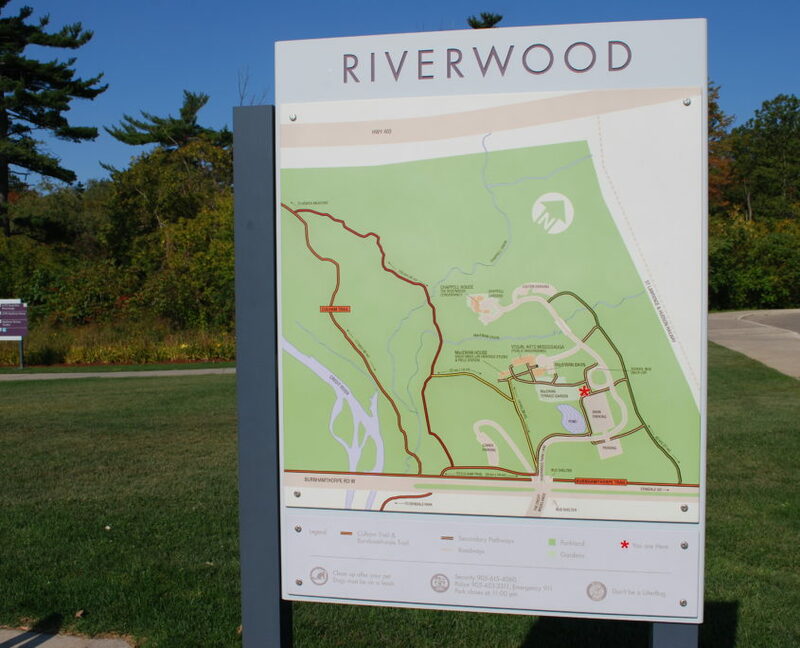 The area offers something for everyone including more affordable homes in Credit Woodlands to large family homes and custom homes in closer to the credit river. 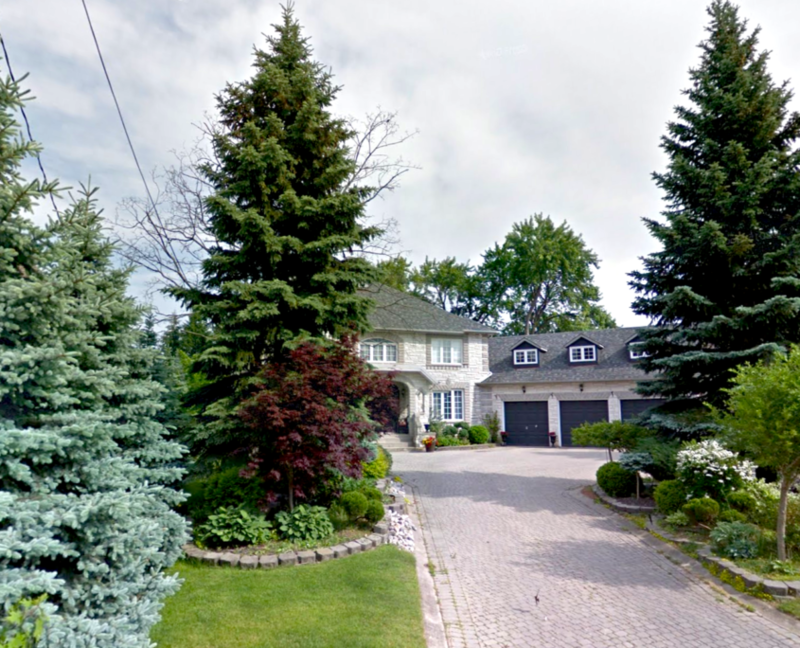 Depending on what part of Erindale you are looking at, your typical neighbour will vary. 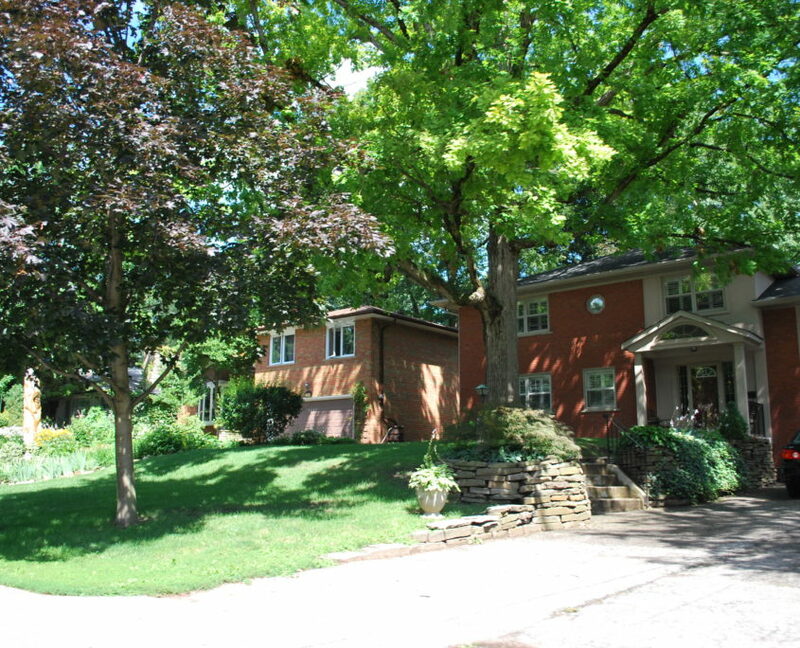 In Erindale Village and parts of Huron Park you are looking at upper income neighbours with pride of ownership. In Credit Woodlands you are looking at families. The historic area of Erindale is very small, with a few small streets with some old homes mixed with newer custom homes. 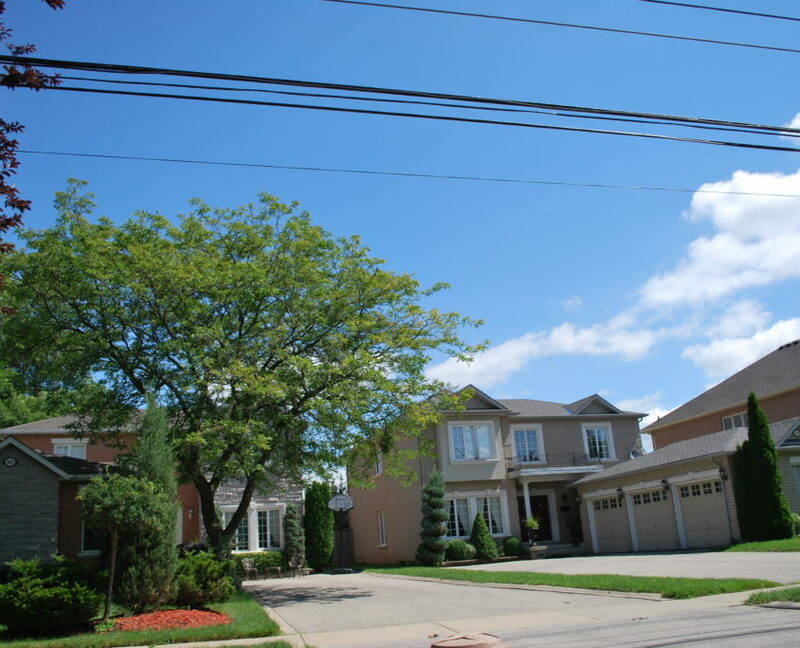 The area of Huron Park, south of Dundas and west of Mavis road, is a prestigious, sought after family neighbourhood with large homes and good schools. Credit Woodlands is an older area built in the late 60’s to 70’s, with a real mix of housing. 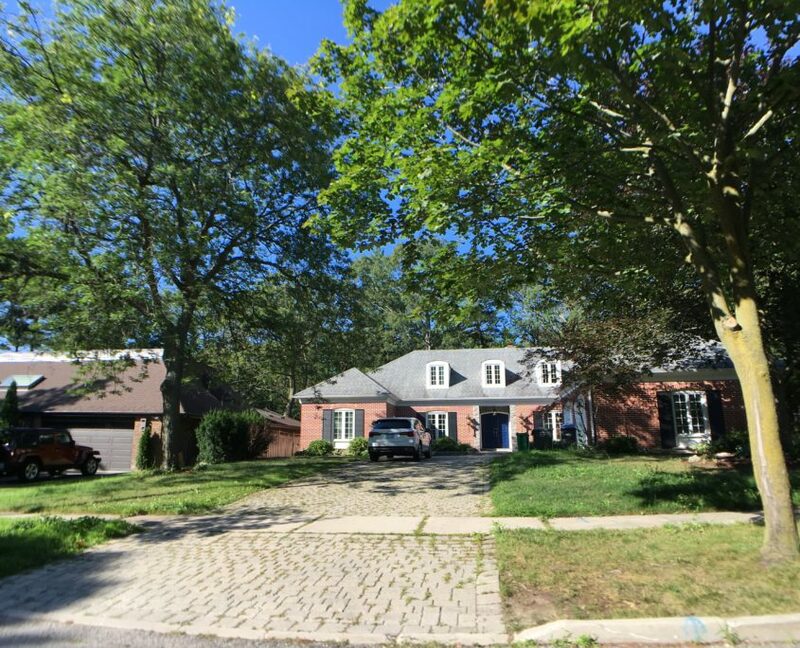 There are large custom homes, detached family homes and semi detached homes, many of which have been duplexed. Generally come in 2 story, split level, bungalow and ranch style. These homes are in high demand because the price point is affordable. 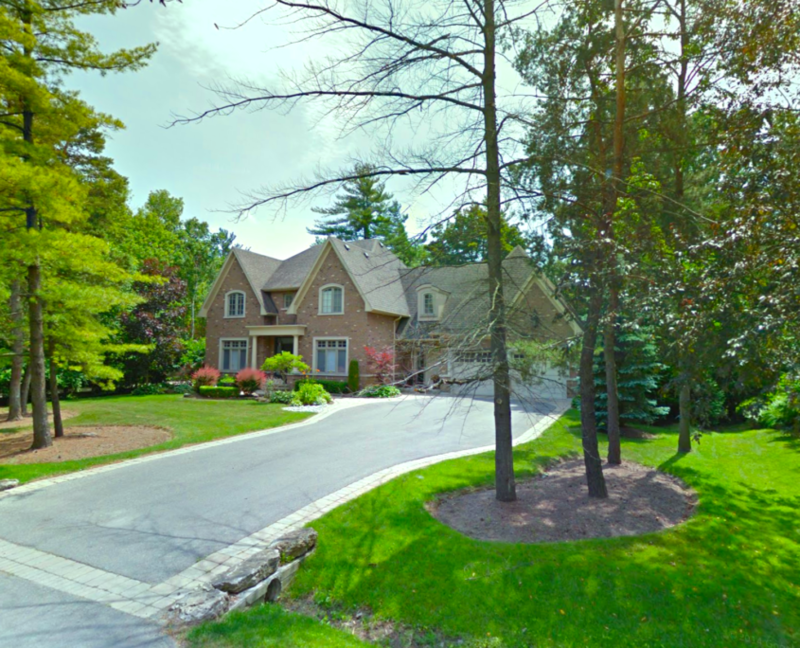 Majority of these homes are found in Credit Woodlands, north of Dundas. 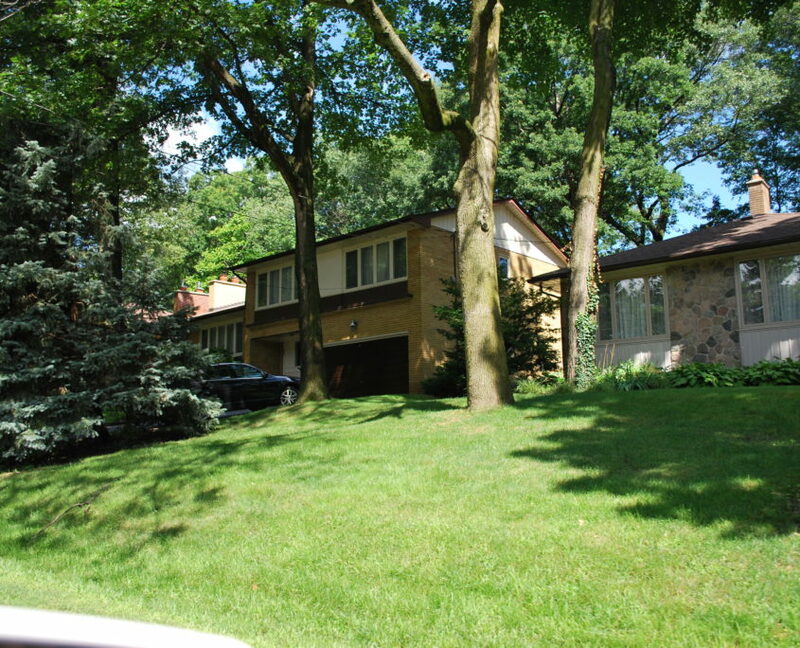 Large, family homes are common in Erindale. Most are built in the 1970’s & 80’s. Good lot sizes on average, in quiet family streets. A lot of these homes are found in Huron Park. Custom Homes come in a variety of sizes and price points. 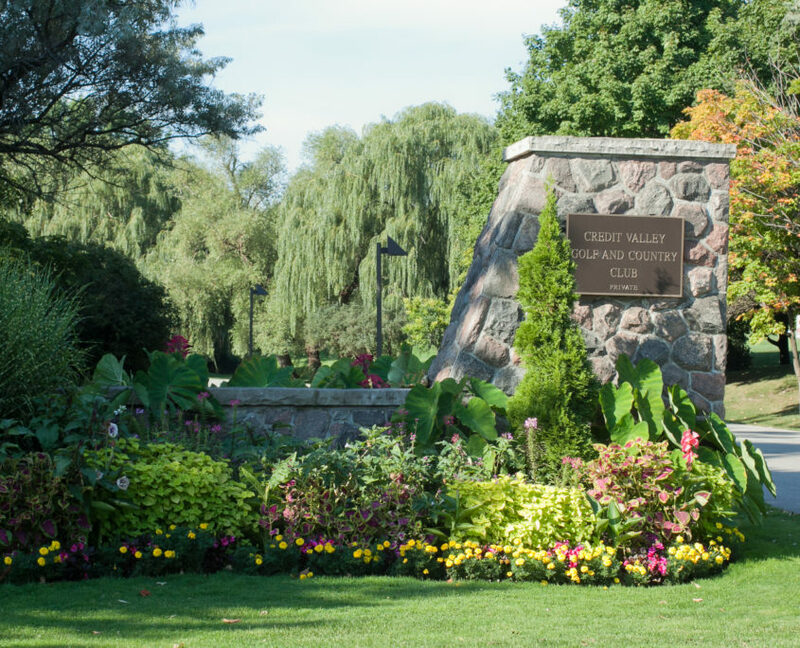 Generally located in areas close to the Credit River and near the Credit Valley Golf and Country Club. This style of hme appeals to high end buyers looking for a show stopper home with a great lot for outdoor entertaining. 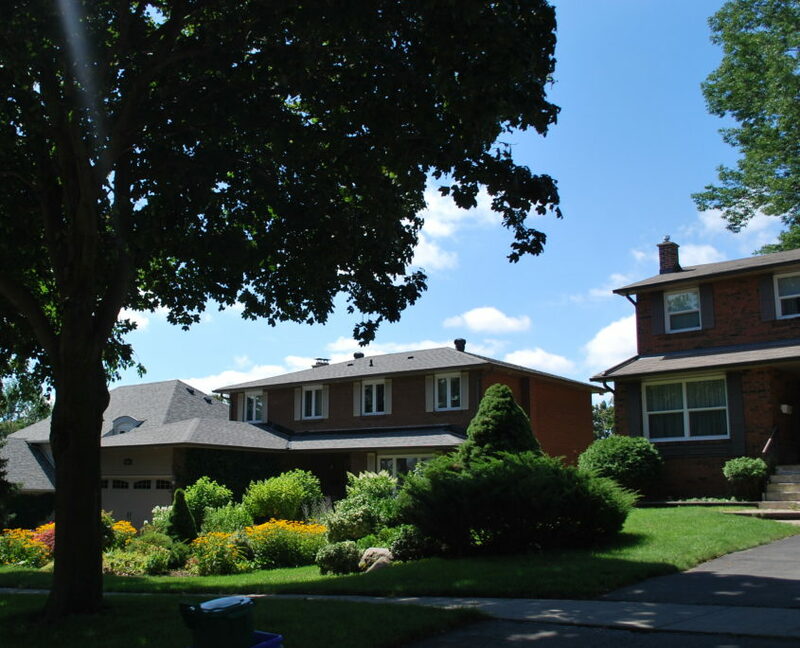 Erindale is great for families, offering quiet family living on tree lined streets. It’s central location in Mississauga offers great access to amenities and all that Mississauga has to offer. There’s a lot of Charm to this little village, but be careful, if you blink, you might miss it. 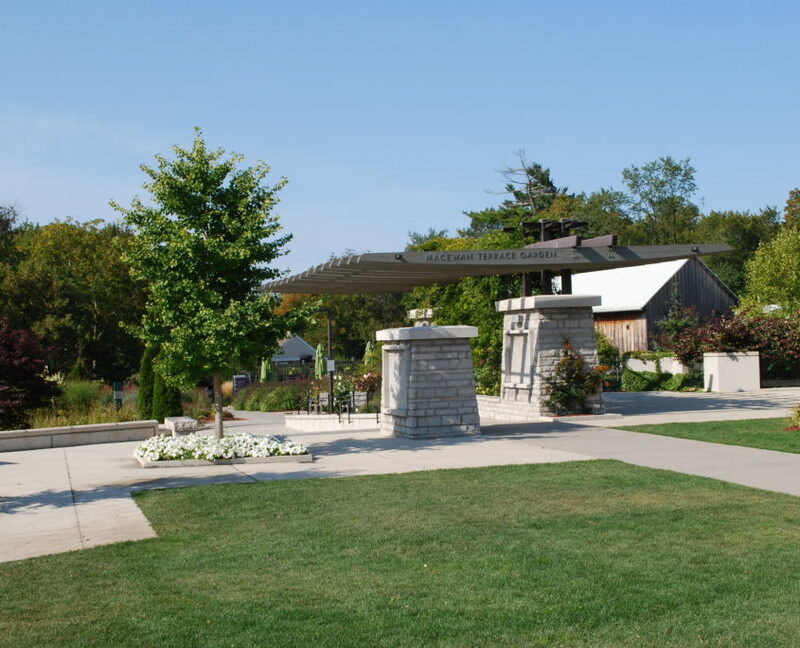 Erindale doesn’t have a pedestrian friendly main street like Streetsville, and most of the history that remains is tied to the historic homes. 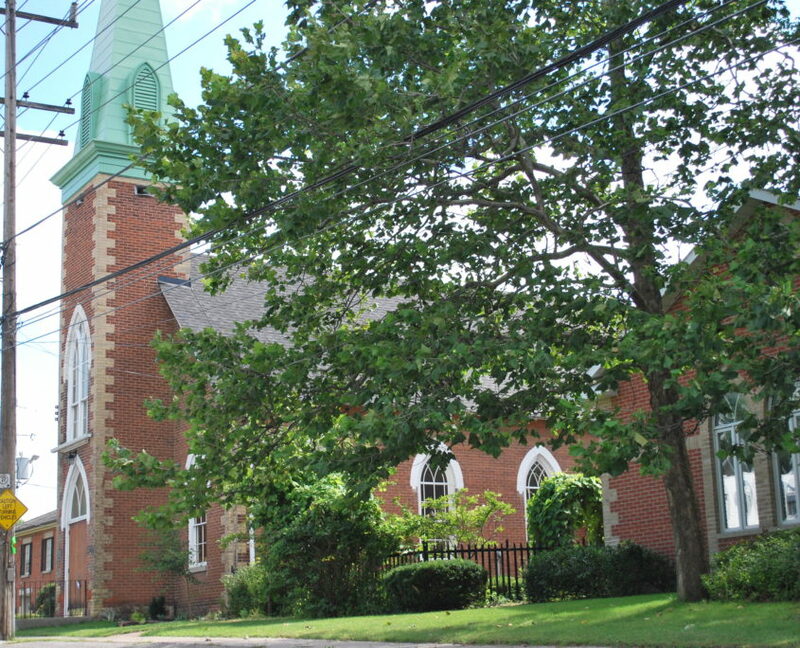 Take a look at the Heritage Walking Tour created by Heritage Mississauga. 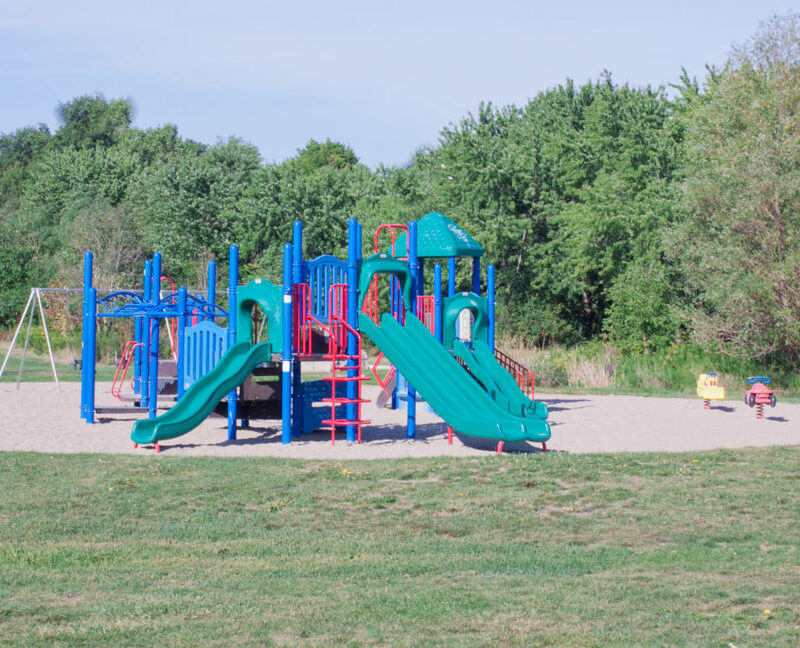 Erindale has a number of paths and trails in the community including the Queensway trail and a network of paths surrounding the Huron Park Rec centre that will keep you active. 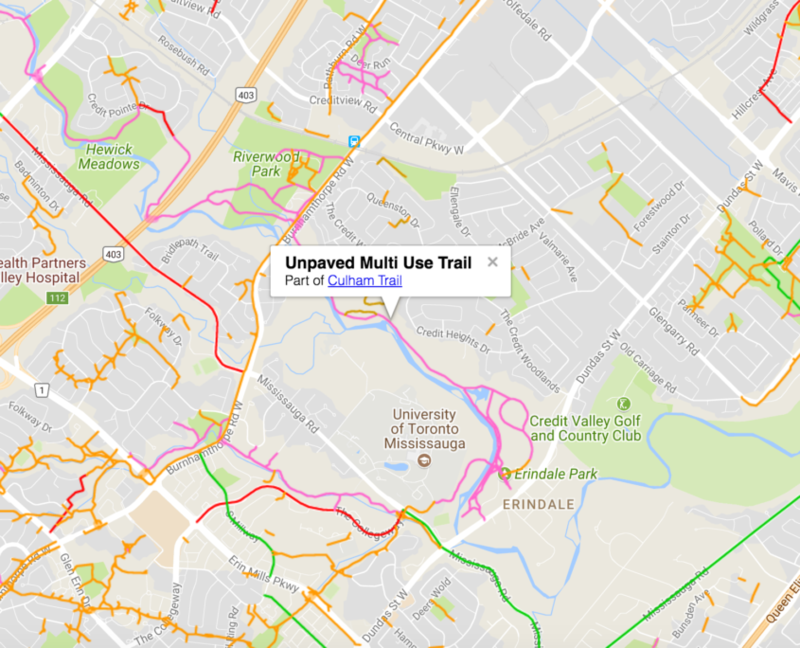 However, the best trails in the community are part of the larger Culham trail, a system of paved and unpaved paths starting at the Meadowvale Conservation Area in the north and heading south through the Riverwood Conservancy to Erindale Park. 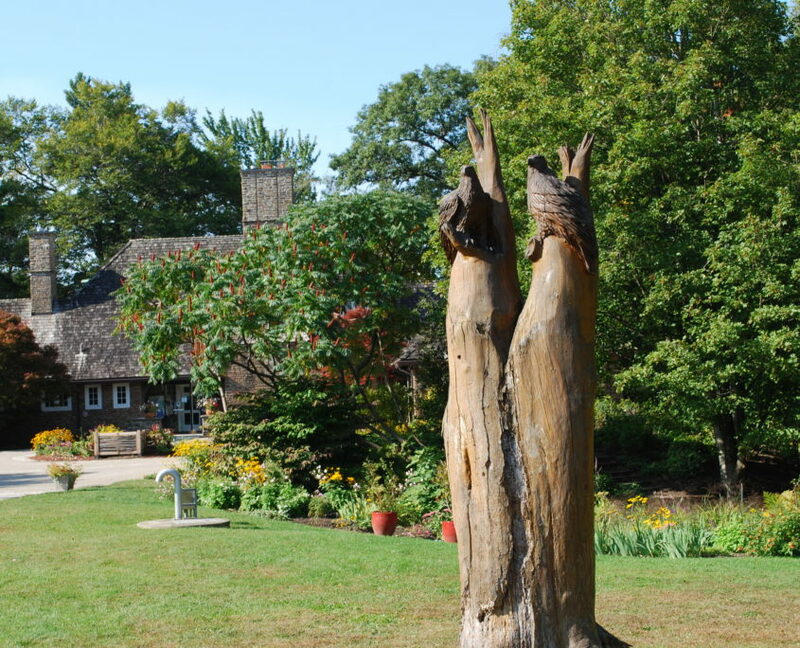 Erindale Park is a 222 acre park situated on the east bank of the credit river north of Dundas St W. The park has walking trails, a picnic area with outdoor grills, a play area and hills for tobogganing in the winter. 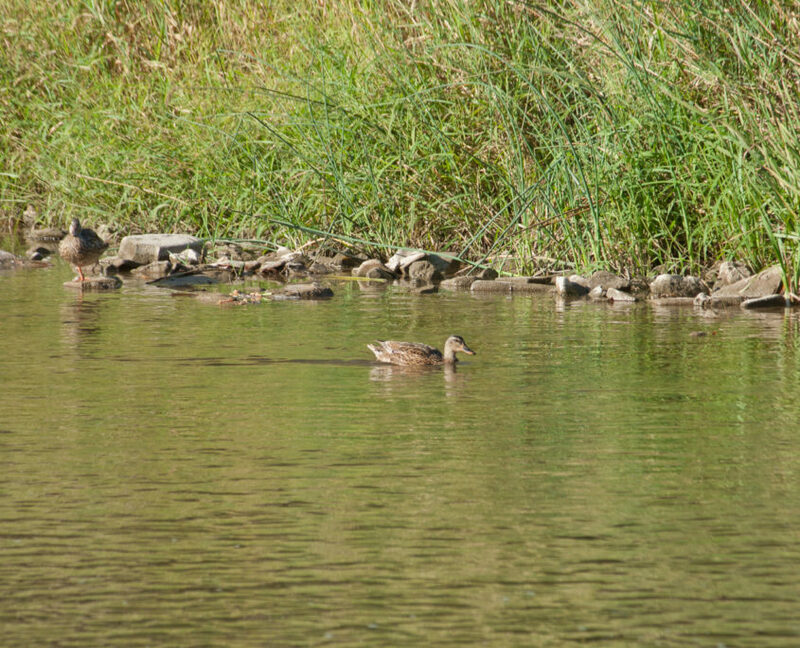 I spent many days in Erindale park as a child, going for family and church picnics. There’s a large wide open space that’s perfect for large gatherings such as birthday parties and community events. Shopping in Erindale in concentrated on a stretch of Dundas St W with Westdale mall being the largest centre in the community. 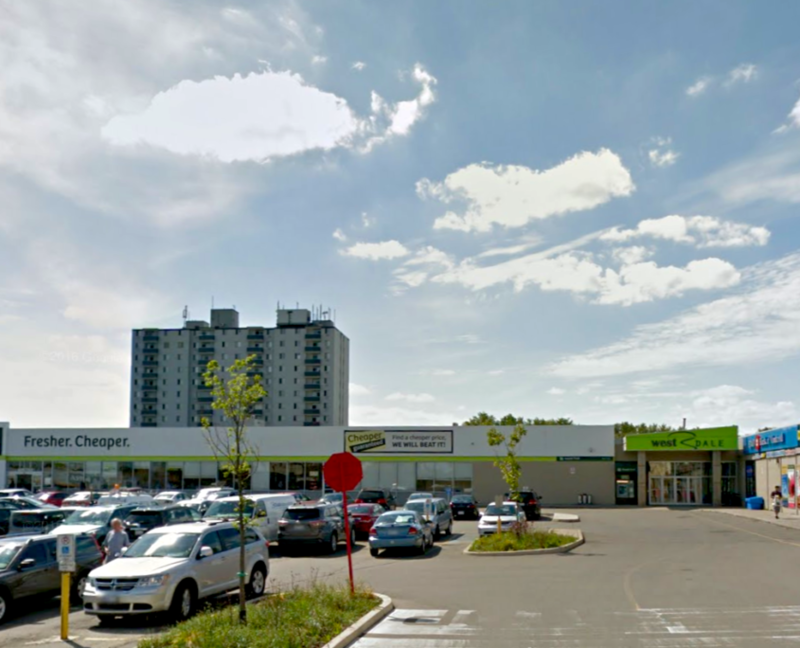 Many residents travel either to Cooksville or Erin Mills to do shopping as both communities are much larger and have more shopping choices. 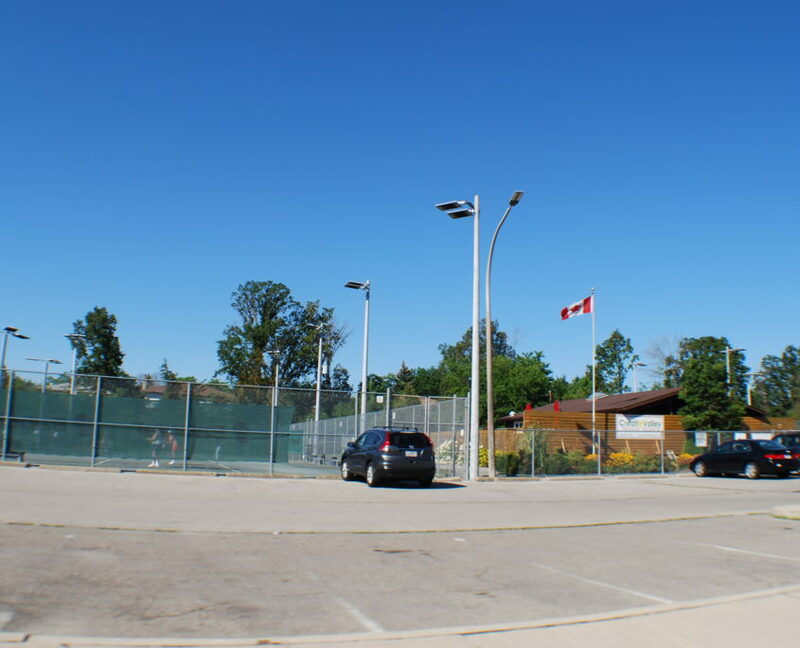 The Huron Park Recreation centre is one of the largest in Mississauga and includes not only a recretion centre with pool, gym and fitness facilities, but a skating arena, sports fields and a tennis club. Erindale is walking distance from U of T Mississauga which is great for students, people who work there and investors considering student rental opportunities. The Woodlands Public high school is a good school that has ranked in the top 20% of high schools in Ontario over the past 5 years. St. Martins, the Catholic high school does not not rank that well compared to other high schools in Mississauga. Erindale offers homes in every price point and style, from entry level to million dollar homes. 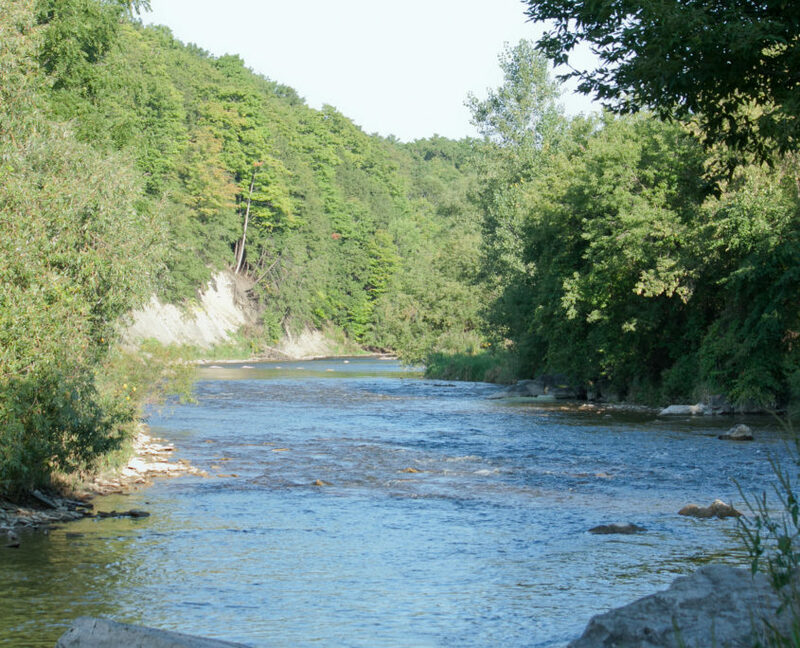 While expensive, the areas closest to the Credit River offer the best value over the long term due to their location.